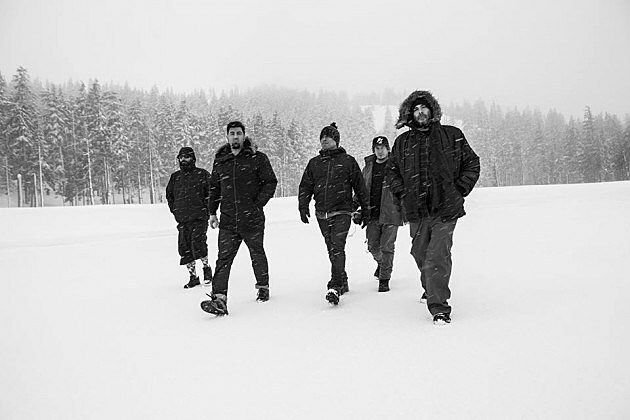 Deftones are over two decades removed their debut, and they continue to churn out interesting heavy music. They’ve been on a creative hot streak this current decade, with 2010’s Diamond Eyes and 2012’s Koi No Yokan, and the first single we heard from their upcoming eighth album, Gore, gives us plenty of hope that they have another winner on their hands. Now we just got a second single, “Doomed User,” which just premiered over at Sirius XM, and this further confirms that hope. It’s another example of the band’s ability to mix soaring heavy atmospheres and big choruses. Check it out here. Gore is out April 8 via Warner Bros. The band also have a bunch of tour dates coming up, including the SPIN SXSW day party on Friday (3/18) with White Lung, Beach Slang, D∆WN, CHVRCHES, Bleached and BAIO. All dates are listed below.